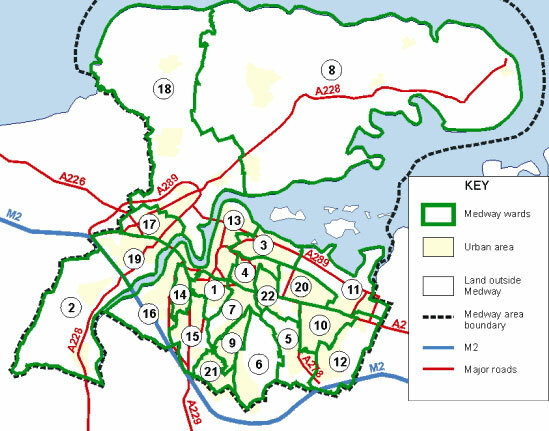 Medway Council had 80 councillors upon it’s formation in 1998, but this was subsequently reduced to 55 from the 2003 elections onwards. 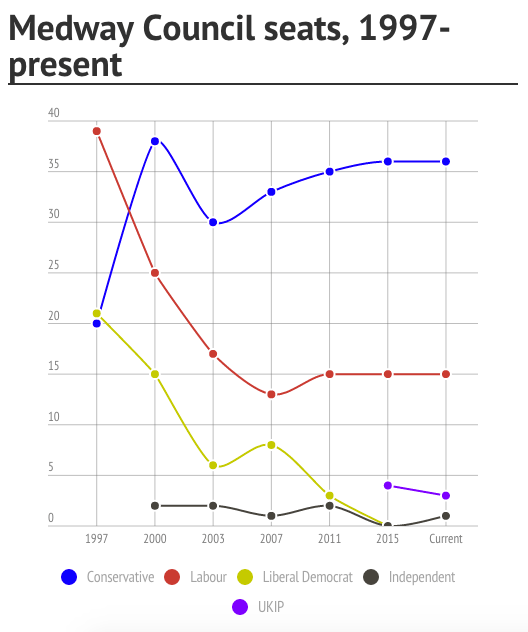 The current number is reached following changes since the 2015 local elections. 1 councillor resigned from the UKIP group and decided to sit as an independent instead.